If you want to create an amazing outdoor living area, you’re going to need to know a little about decks, patios, and pergolas. These things can help just about any homeowner to create a functional outdoor space. How do you decide between a patio or deck, though, and do you need a pergola? We’ll go into more detail to help you figure it all out below! A deck increases your liveable square footage and can be attached to a house or freestanding. Many call a deck ‘a room with no walls’. It can be built with just about any material that can fit your vision, although they are primarily made of wood or a composite wood material or vinyl. However, aluminium is also used from time to time. Properly cared for decks can offer beauty and warmth to any outdoor space. They are basically an outdoor porch or platform without a roof that extends from your house. Patios can be attached to a house or detached, and are a paved area situated directly on the ground. They are usually designed with the landscape in mind. They are very versatile, as they take any shape and can be built using a variety of materials. They can be built using concrete, pavers, stone, tile, brick, pebbles, rock, and more. The fact that they can be built using many materials is a huge benefit of choosing a patio. A pergola can be built over either a deck or a patio for shade and privacy. It can offer protection from the elements, and give both more visual appeal. They can be used to put your extra potted plants away, and are the perfect way to transform any area into an outdoor living space. They can help to change the entire look of your outdoor space with the right material and design, and can add definition and privacy to your garden. They make a deck/patio a great place to entertain outside and can allow your parties to go on for much longer! Whether you get a deck or a patio can depend entirely on your goals. For many goals, both of them could work. For example, an outdoor kitchen can be built on either deck or patio. Both can accommodate fire pits to add a more cosy feel, too. However, a fire feature placed on a deck will need a fireproof material separating it from the wood deck, such as concrete or ceramic. Both can surround a pool or spa. Make sure you know what your final goal for your outdoor living space is and how you’d like to use it. Think about how often you’ll use it, what you’ll want to do (cook, entertain, etc), and who will use it with you. Choose your design, materials, and other elements accordingly. 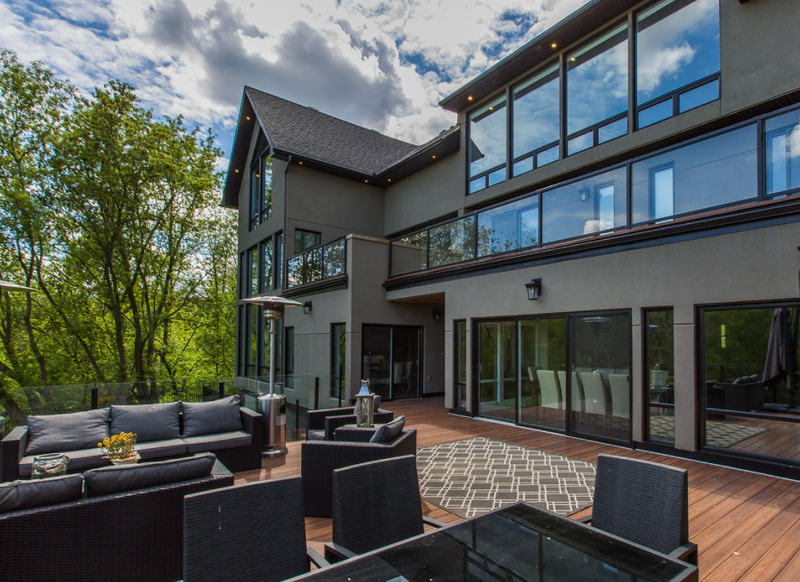 Ultimately, whether you choose a patio or a deck could boil down to what you like the look of better, as they both have a number of benefits and make beautiful outdoor spaces. Ready to transform your outdoor area into a space to be proud of? Contact our team at Fence Masters today for your free consultation!